the same thinking that created those problems. can assist you in dispute resolution. 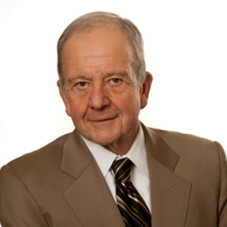 Terry Moritz has more than 45 years of experience litigating a wide variety of complex disputes both in court and in ADR settings. He has been consistently recognized as one of Illinois’ best business litigators. He founded Terry F Moritz LLC in 2014 in order to focus his alternative dispute resolution practice on commercial and energy disputes. Mr. Moritz employs the knowledge he has gained as an advocate to resolve disputes more effectively and efficiently through mediation, arbitration, and a strategic approach to settlement. Mr. Moritz is a member of the American Arbitration Association (“AAA”) serving on its energy, commercial, joint ventures and emergency panels. He is a member the The International Institute for Conflict Prevention and Resolution’s (“CPR”) commercial and energy panels. He is certified by the ADR Committee of the Midcontinent Independent Systems Operator (MISO) and the Board of the Midwest Reliability (MRO) as a mediator and arbitrator. He is a charter member of the National Academy of Distinguished Neutrals (“NADN”), Illinois Chapter, an Adjunct Professor of Law at Loyola University School of Law and a member of the American Law Institute. He is a Fellow of the Chartered Institute of Arbitrators (“CIArb”) and is a board member and panelist for the Forum for International Conciliation & Arbitration (“FICA”). Mr. Moritz is also an experienced businessman having served as Trustee and Chief Operating Officer of the Iowa Railroad Company and as an owner and board member of a successful privately held manufacturing enterprise. Mr Moritz principal office is in Chicago with a satellite office in London. A list of some of his recent energy and commercial arbitrations is appended to this biography, as is a listing of his mediation and arbitration training. Read Terry’s full bio here. Read about Terry’s alternative dispute resolution experience and training and view recent significant arbitrations. Terry has had the opportunity to represent a broad array of business and governmental entities over the course of his career. The following is a list of some of the clients that he has represented. He continues to provide selective legal services to certain of these clients. E. W. Howell Co, Inc.